There are mysteries to be solved in the world of Woolf. And Virginia Woolf scholars have their magnifying glasses out. 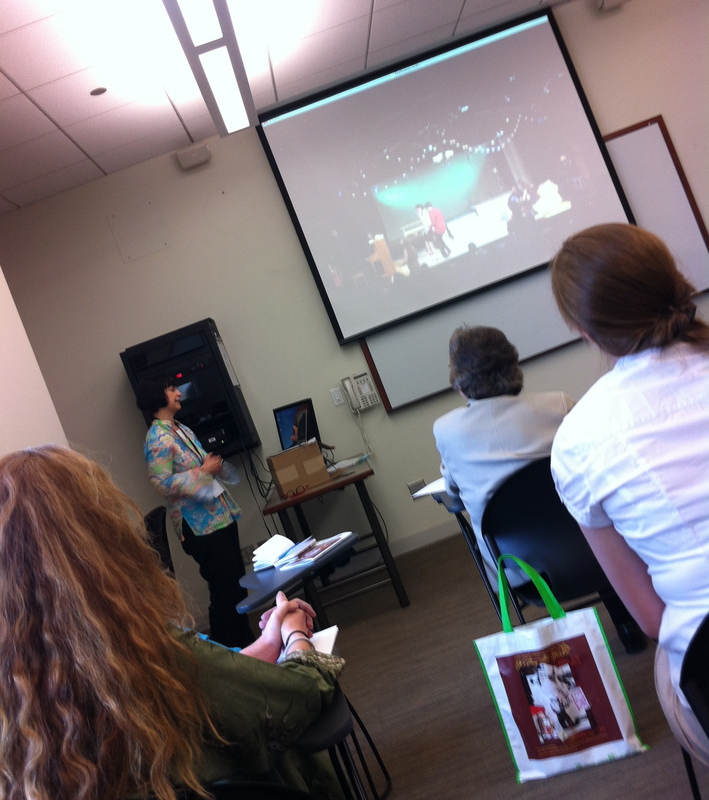 The 24th Annual International Conference on Virginia Woolf: Writing the World, held in Chicago June 5-8, was the fifth I’ve attended. And, as always, what struck me most was that, as always, there are new things to learn about Woolf and her contemporaries. 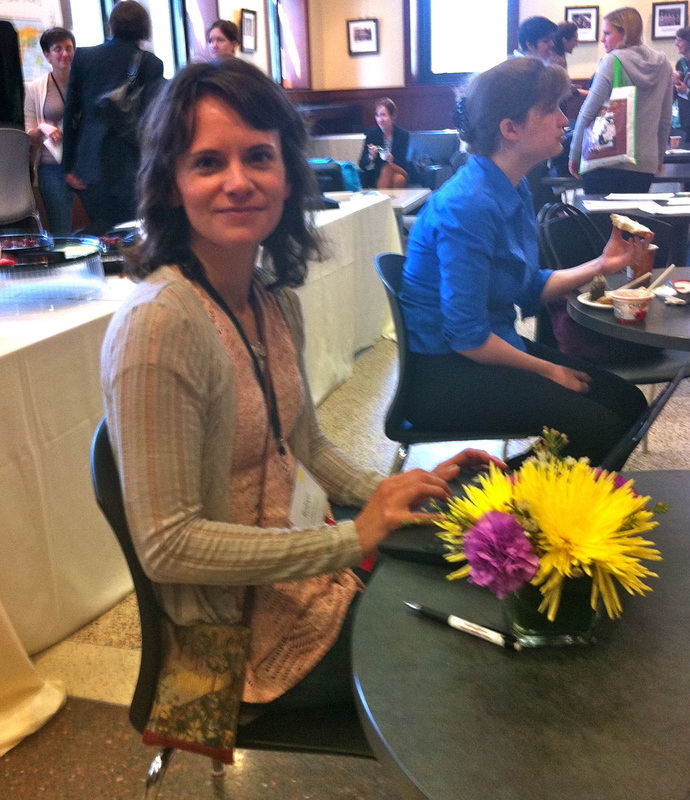 Robyn Byrd of Northern Illinois University, one of the graduate assistants who helped organize the conference and who was on hand throughout the week. This time, the new things were steeped in mystery, mysteries that such scholars as Suzanne Bellamy of the University of Sydney, Julie Vandivere of Bloomsburg University, Susan Wegener of Southern Connecticut State University, and Denise Ayo of the University of Notre Dame are busy uncovering. 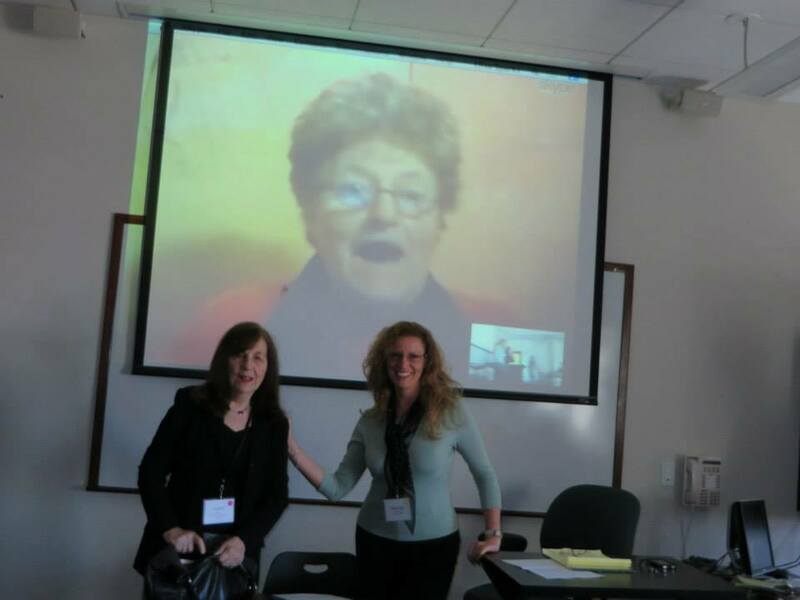 Bellamy, appearing remotely via video and Skype, covered the codebreaker piece of the panel in her discussion of Edith Rickert, a Chaucer scholar who had what Bellamy called “a cypher brain.” Rickert worked as a codebreaker in both world wars. She also supervised a student thesis at the University of Chicago that has prompted Bellamy to do some further sleuthing. The 1930 thesis, written by Elizabeth McKee and titled “A Study of the Style of Mrs Virginia Woolf with Special Emphasis on her Thought Patterns,” was the first academic piece done on Woolf, as it predates Ruth Gruber‘s 1934 work, Virginia Woolf: The Will to Create as a Woman. McKee’s thesis focused on Woolf’s sentence structure. Without computers, McKee analyzed Woolf’s sentences and worked up complicated graphs that illustrated her findings. According to McKee’s research, Woolf wrote two kinds of sentences: groping sentences searching for clarity and descriptive sentences where every word has meaning. Once Bellamy discovered McKee’s work, she was intrigued by the connections it helped her make between code breaking, sentence structure and modernism. But she remains mystified by the lack of available information about what McKee did after she graduated from the University of Chicago in 1930. Bellamy continues to investigate that mystery so she can flesh out McKee’s story for her doctoral work on early textual readings of Woolf. In it, she focuses on McKee’s work and the work of three other early Woolf scholars, two Americans and two Australians. I can’t even brush the surface of the complicated story of paternity, deception, inheritance and intrigue that Julie Vandivere presented in a panel on “Vita, Pepita and Orlando.” Vandivere took on Pepita de Oliva, grandmother of Vita Sackville-West and the subject of Vita’s book, Pepita. In her research, Vandivere works to uncover the marital history of Pepita and the true heir to Knole House and the Sackville fortune. Along the way, documents turned up missing — destroyed or stolen by Pepita or the Sackville-Wests — no one knows, or at least, I don’t. As a result, the true story is missing as well. But Vandivere, using her language skills as a comparative literature specialist, continues working to track them down. In her private writings, Woolf revealed her anti-Semitic feelings. But were her anti-Semitic scenes in The Years more of the same? Or did she purposefully create them to make her readers aware of their own biases at a time when fascism and tyranny were abroad and at home? 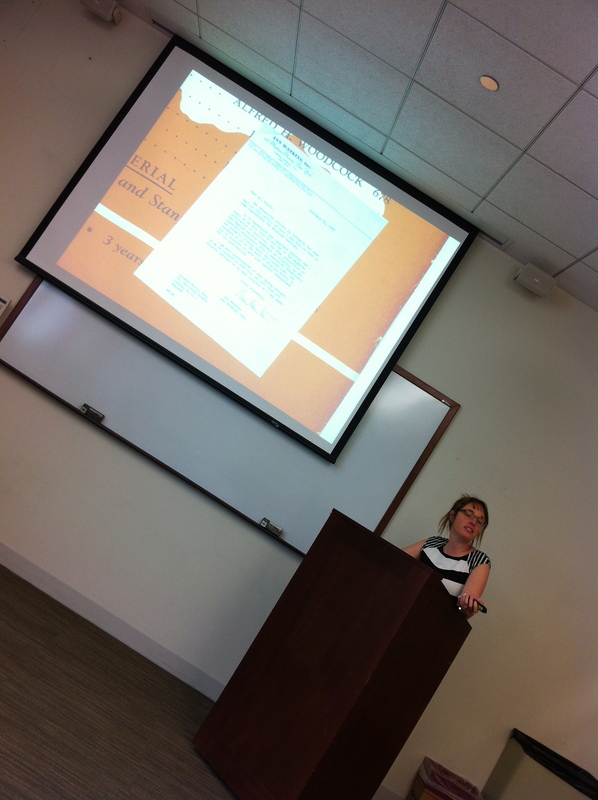 Susan Wegener worked to unravel that mystery in her paper, “Processing Prejudice: Writing Woolf’s Jewish World.” By doing a close reading of key scenes in The Years traditionally seen as anti-Semitic, Wegeman argued that Woolf created those scenes to reveal stereotypical anti-Semitism. Denise Ayo teased out a mystery with a similar feel in her paper, “Staging (Self-)Censorship: Virginia Woolf’s `Women Must Weep. '” In it, she compared the chopped-up version of Three Guineas that appeared in the May and June 1938 issues of the Atlantic Monthly under the title “Women Must Weep — Or Unite Against War” to the actual text from which they derived. She noted that the Atlantic Monthly version is not just an excerpt of Three Guineas. Nor is it a condensation or summary of sorts. Instead, it leaves out material without using ellipsis and includes text that is not in the published version. Its prose is fragmented, leaving words and thoughts hanging. It contains contradictory meanings. And its organizational structure is disjointed. So was Woolf temporarily off her mark when she sent her piece to the Atlantic? Did she wearily submit to a bad edit job? Or, once again, was the hash that is “Women Must Weep” done for a purpose? Ayo argued for the latter. In Three Guineas Woolf complained that journalism was a “mincing machine,” so in her Atlantic piece she did the mincing herself to make a point, Ayo maintained. 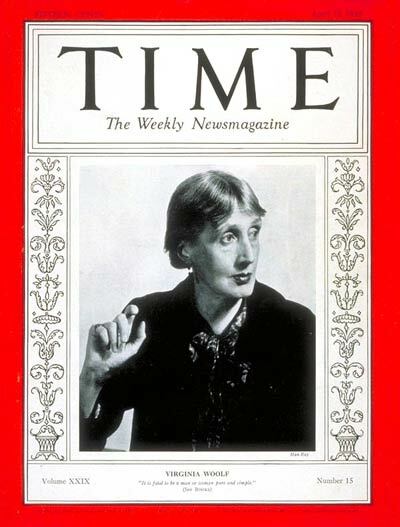 According to her, “Woolf meant to communicate to Atlantic Monthly readers that the integrity of her message had been corrupted” by periodical culture that cannot accept a feminist pacifist approach to the world. The conference, sponsored by Loyola and Northern Illinois universities, and attended by more than 200 common readers, students, faculty and independent scholars from around the world, boasted about 63 sessions. 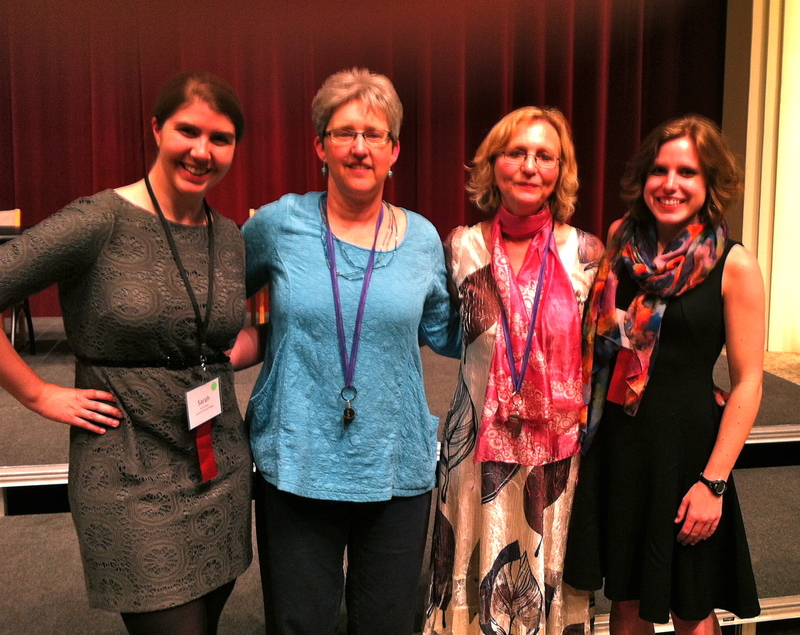 Conference organizers and their graduate assistants: Sarah Polen, Diana Swanson, Pamela Caughie and Katie Dyson. That doesn’t include special events — such as a performance of Sara Ruhl’s Orlando pulled off by students after just three weeks of rehearsals — or “Performing Woolf: ‘A Mark on the Wall'” by Adrianne Krstansky of Brandeis and Abigail Killeen of Bowdoin College. The conference also included a thought-provoking keynote roundtable discussion on Woolf and violence with Mark Hussey of Pace, Ashley Foster of CUNY, Sarah Cole of Columbia, Christine Froula of Northwestern, and Jean Mills of John Jay College and keynotes by Maud Ellman of the University of Chicago and Tuzyline Allan of Baruch College. 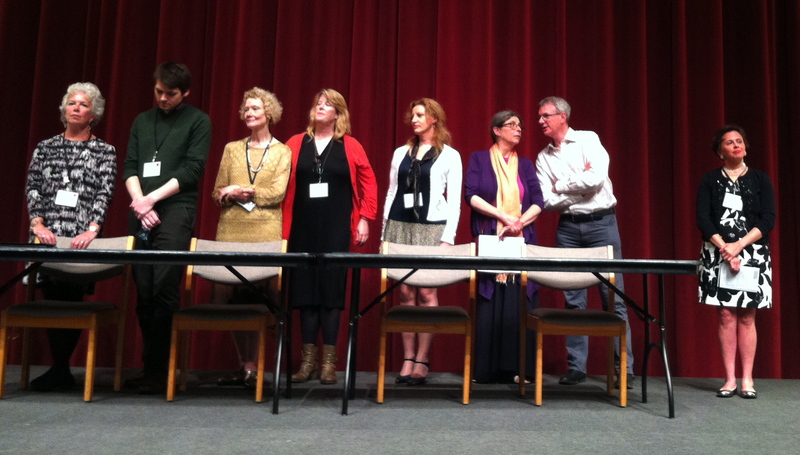 The Virginia Woolf Players line up to read Woolf. The social finale for most conference participants was the Saturday night banquet, preceded by drinks and appetizers in the Mundelein Hall Courtyard and topped off by the traditional readings of favorite Woolf passages by the Virginia Woolf Players. Stalwarts stayed on for Saturday morning sessions before packing up and heading out to home countries ranging from the UK to Japan. View more photos from the 24th Conference on Flickr.